The term ‘BIO’ means not only ‘biology’ but also encompasses living things (nature) and human beings. (Bio-: connected with living things or human life) Generally speaking in Korea, ‘Bio Valley’ refers to an area which is concentrated in research, education and industry. But this is a narrow view that only focuses on functional aspects and neglects city, nature, environment and human living. 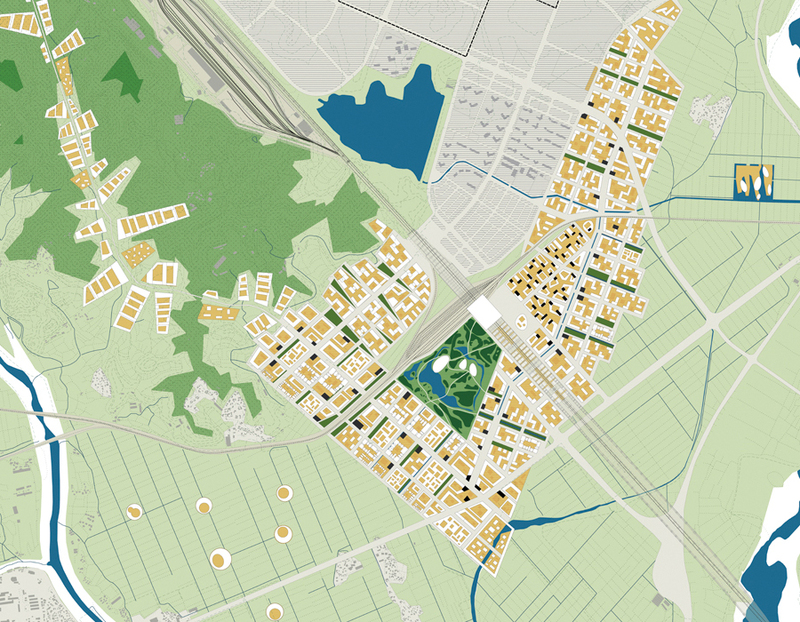 Any proposal for a Bio Valley should consider the factors of urban context, nature and human living before any planning takes place. 2. 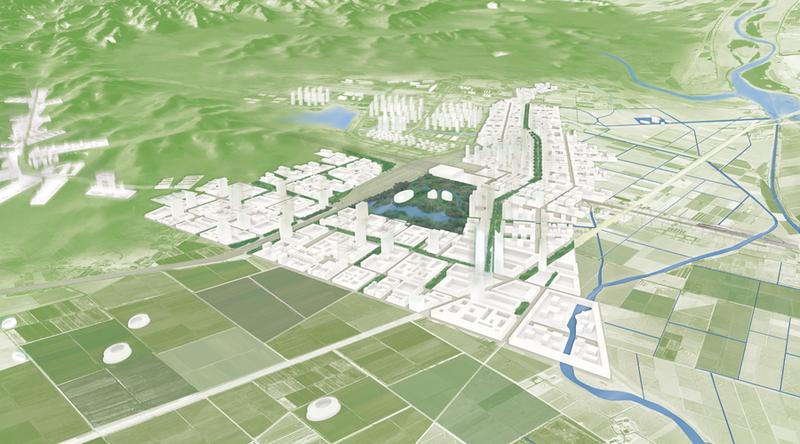 Research, education and bio-industry developments should mix with urban housing and commercial areas. 5. Flexible urban structure and buildings according to situation and needs. ‘Osong Bio Valley’ forms a junction with the high speed train (KTX) that leaves it only an hour away from Seoul and within an hour from Iksan in the south-west, and Daegu in the south-east. This area has the opportunity to attract Asian tourists (from China, Japan, Thailand and beyond) flying in from airports (Cheongju, Gimpo, Daegu) and arriving by sea from Pyeongtaek port for medical tourism and so on.